Ed Boon has finally flicked the switch on the (oddly shaped) spotlight he has mounted upon the roof of NetherRealm Studios. It turns out, after all the time it took to get it installed, someone had forgotten to install a halogen bulb so instead he resorted to tweeting out the following on Friday morning. The (not very) cryptic tweet, gave us somewhat concrete release date for the highly anticipated sequel to NetherRealm and DC comic’s 2013 fighter. The date was later confirmed by the studio’s own Twitter account. Information surrounding the game has been out there from official sources, including a game play trailer and specific character reveal trailers; Wonder Woman & Blue Beetle in July and Quinn & Deadshot in August. With the solid pedigree of ‘Mortal Kombat’ behind them, the stable of DC characters were in good hands for the first outing, and it showed in the final product. 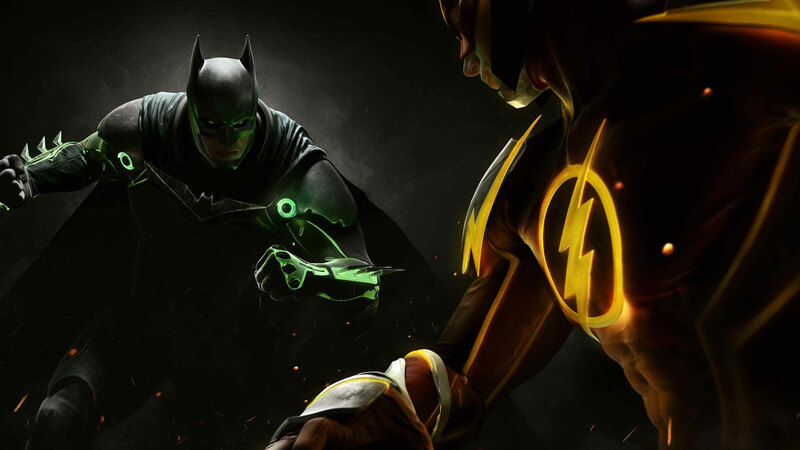 We can’t wait to see what an even more refined Injustice plays like.